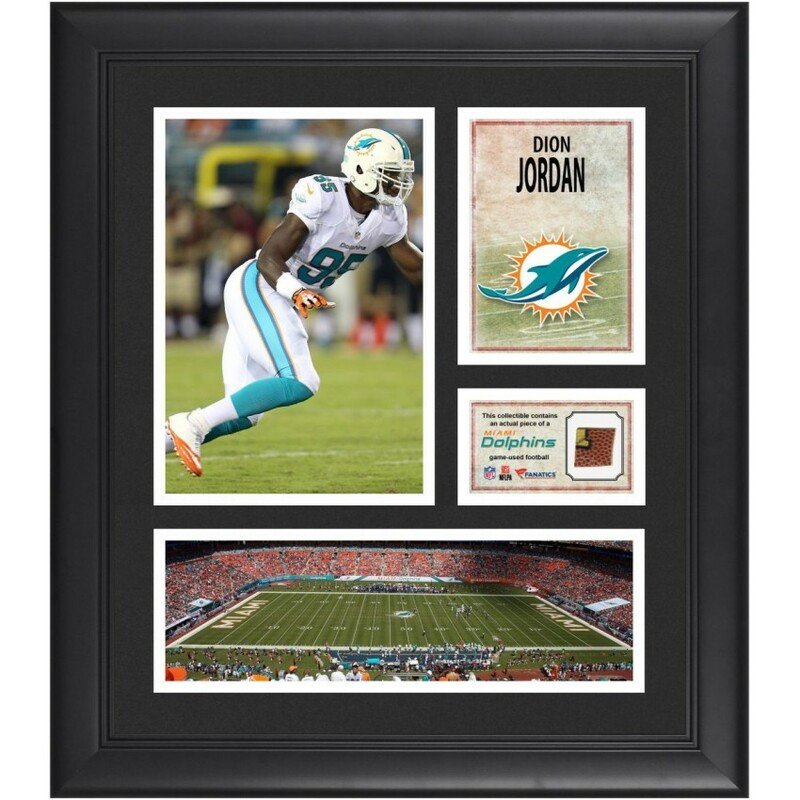 Each of these collectibles comes designed with a photo of the player and home stadium, a team logo, and an actual piece of game-used football from a Miami Dolphins game. It is officially licensed by the National Football League and comes with a statement of authenticity. It is framed in black wood and measures 15''x 17''x 1''. This 8'' x 10'' photograph has been personally hand-signed by Roger Federer. It comes with an indivi.. This Tennessee Volunteers Campus Legend collage features one unsigned 7" x 9" iconic photo, a 2" x 4..
Each collectible features a 6'' x 8'' photograph of Reggie Wayne, a team logo, and a nameplate with ..
Our official LA Kings 2014 Stanley Cup Champions ready-made wall mountable program & ticket display .. In Super Bowl XXXII on January 25, 1998, the Denver Broncos defeated the Green Bay Packers 31-24, be..
Machine-Made Tufted. 100% Premium Nylon Pile. Made in the USA! San Diego Chargers 3'10"x5'4" NFL Tea.. The Purdue Boilermakers framed collectible features a five color photograph collage and laser cut Bo.. This 16'' x 20'' photograph has been personally hand-signed by Tony Parker with the inscription ''4X.. This 8'' x 10'' photograph has been personally hand signed by running back Ryan Grant. It is officia.. This Fanatics Authentic collectible comes with a collage of images of an NFL player sublimated onto .. The Stanford Cardinal black base logo football display case is made of 1/8"-thick acrylic. It featur..